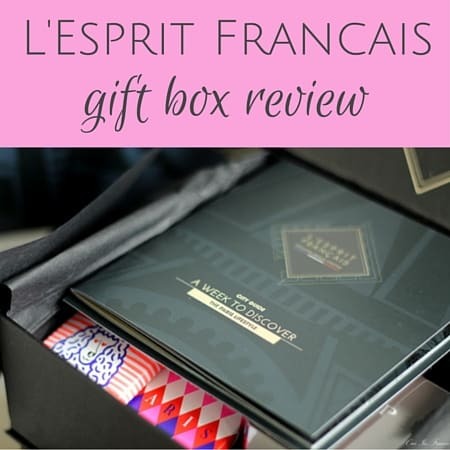 Some of the best gifts I’ve found for people have been from bloggers’ recommendations. 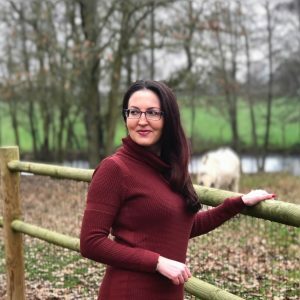 I often learn about new-to-me products and services from the blogs I read — things like books, travel gifts, and even clothes. While recently in Saint-Emilion, I discovered Rewined candles at a gift shop after the wine-inspired label caught my eye. 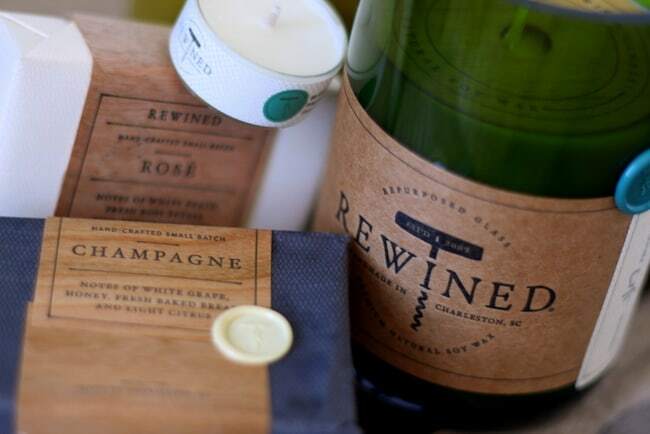 Here’s why Rewined candles and soaps might just make a perfect gift for someone in your life! Lately, pretty much every French gift shop I’ve gone in has been super impressive. Maybe I’ve just gotten lucky, but the Bordeaux and Saint-Emilion tourism office gift shops were full of fun trinkets and souvenirs. Little privately owned shops along our canal cruise route blew me away as well! As I mentioned in the intro, a shop in Saint-Emilion is where I found Rewined candles and I was intrigued. The play on words — Rewined — is what first stood out. Since we were in one of France’s wine capitals, I figured the candles must have something to do with wine given the name and corkscrew incorporated into their logo. 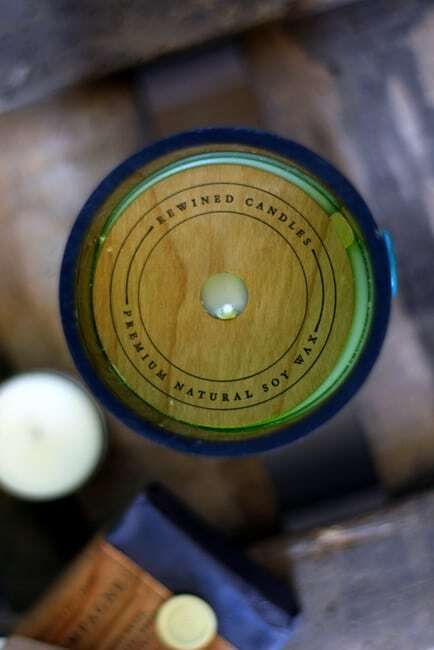 I picked up a candle to find out more, and sure enough, these were wine-inspired candles made from re-purposed wine bottles! 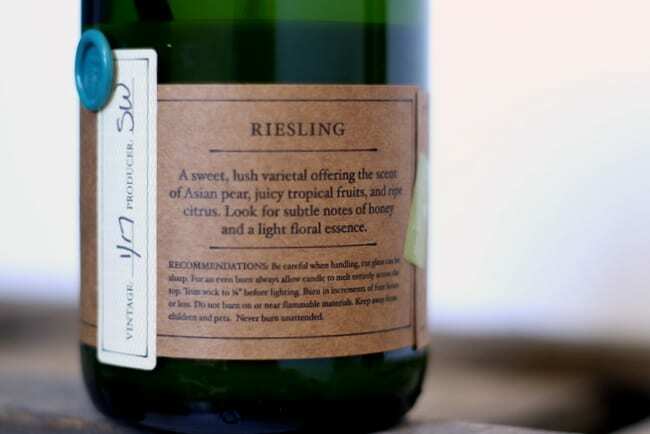 The top part of the wine bottle is carefully removed leaving a perfectly cut and polished bottom half. 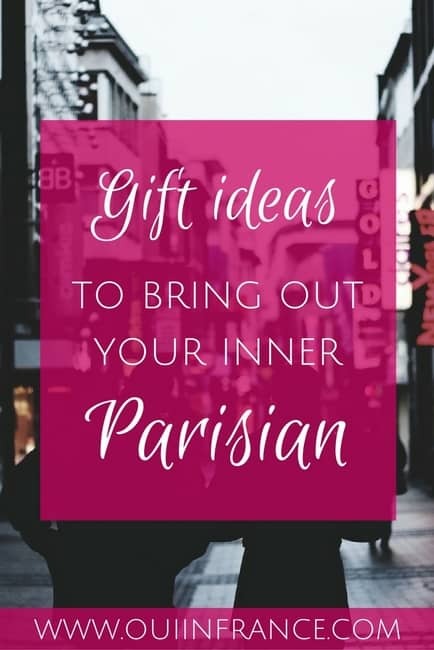 It’s then filled with premium soy wax that’s been custom blended with fragrance that draws inspiration from wine varietals. And wow, did the candles smell divine! More on that below. 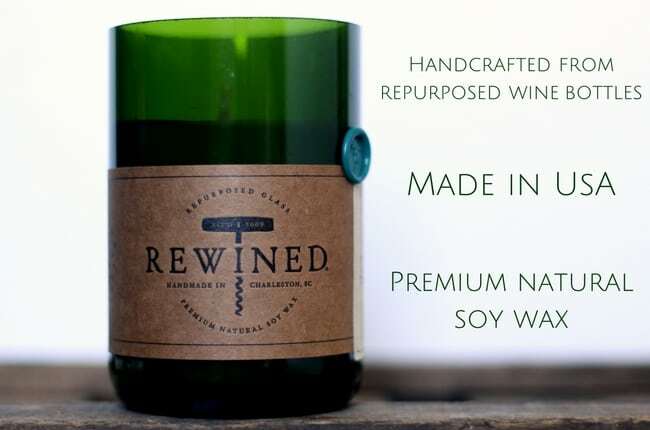 Rewined candles come in scents like Sauvignon Blanc, Pinot Noir, and Riesling, to name a few, and are handmade in Charleston, South Carolina, USA. My candle pictured here is the Riesling scent from their Signature Collection. These are sturdy candles, weighing approximately 11 ounces with an 80-hour burn time. What does it smell like? Heaven, basically. The scents are refreshing and crisp. There’s nothing artificial or sweet about them, making these candles an ideal gift for men and women alike — even people who aren’t generally candle enthusiasts. Just a quick note about the scent. I left my unlit candle in our extra bedroom so I could photograph it, and when I went back into the room later on, the entire space smelled incredible. The aroma was pleasant — not overpowering at all. They also make cute little tea lights with a burn time of 8 hours if they’re more your style. 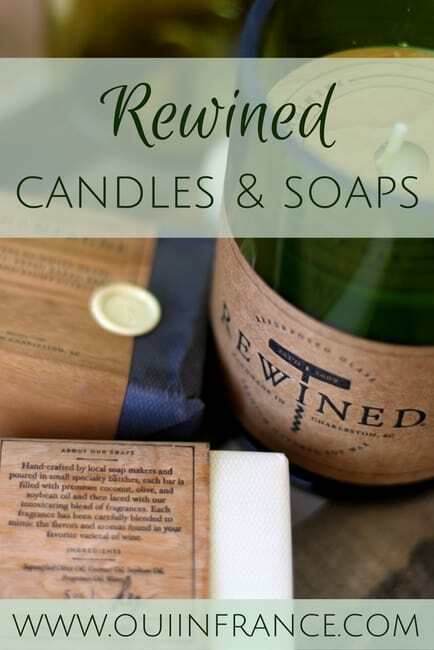 If you’re not a candle person, Rewined makes small batches of specialty soaps as well. 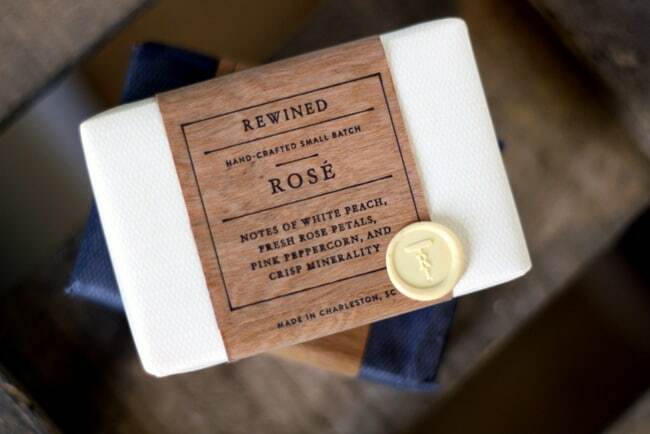 Their cold processed soaps are also handmade in Charleston and inspired by popular wine varietals like Champagne and Rosé. Like Rewined candles, the soaps are natural smelling, not overbearing or artificial. Each 5-ounce soap is made with premium saponified olive oil, coconut oil, soybean oil, and natural fragrance. The bar feels moisturizing on your skin and luxurious. So if you couldn’t tell from my post, I’m Rewined’s latest fan. Their candles and soaps would make a much-appreciated housewarming or hostess gift for someone special in your life. If you’re in Europe, Rewind Europe is their exclusive distributor. In the USA, visit Rewined here or over at Amazon. Are you a candle fan? 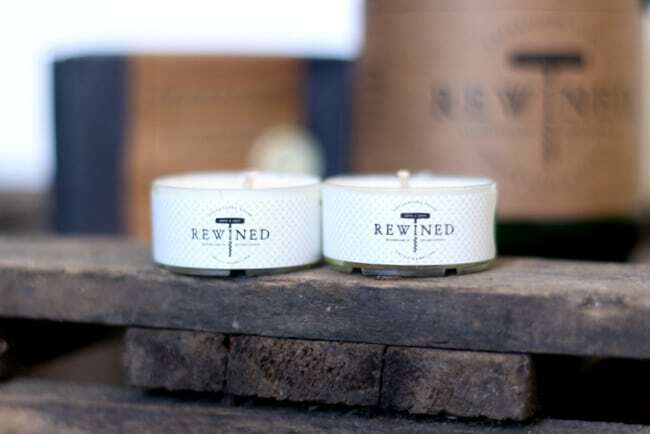 What do you think of Rewined candles?